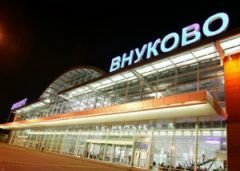 Modern Moscow is a huge megapolis, Moscow air gates are located at three main airports - Sheremetyevo SVO / UUEE, Vnukovo VKO / UUWW and Domodedovo DME / UUDD in the suburbs of Moscow, and new one Zhukovsky International Airport ZIA / UUBW (Ramenskoye). When you arrive here, you’ll certainly have problems such as how to get down town or the place you want. There are trains and buses, but you really need to orientate well in the city to use public transport. With population of 18 million people, Moscow causes problems for its own residents as new streets, gated communities; even new regions appear regularly, followed by new routes of public transport in new streets with unknown names. Imagine, Moscow metro (subway) has 182 stations, so you’ll have to study Moscow map thoroughly and to address for assistance to reach your destination. 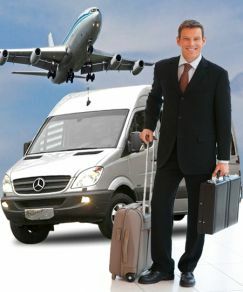 Thus, the most comfortable, easiest and safe way is to book Moscow airport transfer from our website. 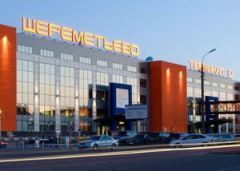 Experienced driver will meet you at Moscow airport, (Sheremetyevo SVO / UUEE, Domodedovo DME / UUDD, Vnukovo VKO / UUWW and Zhukovsky International ZIA / UUBW (Ramenskoye)), with a name sign. Our car will bring you to the final destination of your trip, any place in Moscow, our drivers know city well and you’ll have no problems in communication: they all speak English, you’ll pay in the end of the trip fixed price. The main reasons to use our service. First - Safety. Professional drivers, our 18 years of experience + best available business class and luxury vehicles guarantee you a comfortable and safe transfer. Second – Vehicles availability. 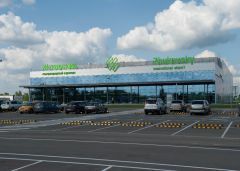 Optimally designed routes and constant availability of cars at all airports allow us to keep the best prices for transportation services in Moscow airports. Third - English speaking drivers. You will have no language problems during the trip. Fourth - Documentation. You will get a receipt for your financial report. if you consider our rates a bit high and you found the same service cheaper, do not forget to request from supplier the following: car model and year make – sure 10year old vehicle is cheaper; included waiting time; included ride time; who pays for the parking; fare per vehicle or per person; the cost of turning on air conditioner, you pay for the duration of the ride only or the mileage is also chargeable. There is no kidding; it’s the way some transportation agencies try to show compatible rates. 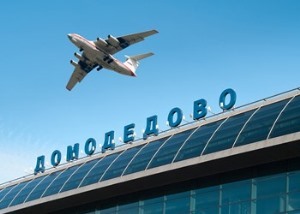 How to book Moscow Russia airport transfer from our company? Step one: Open electronic booking request. Step two: Fill in required data. Step three: Press button send. You will get 5-10% discount at the ordering a program for two days and longer, or for your next orders. THE LAST BUT NOT THE LEAST: The rates, shown below, are final. They include meeting, waiting, possible flight delays (up to 2 hours), chargeable parking at the airport, luggage assistance etc. NO ADDITIONAL HIDDEN CHARGES. Zavidovo, Tverskaya r., Завидово, Тверская обл. All these revievs are based on company's experience and show our own opinion. AllTrans provides the most comfortable, easiest and safe airport transfer service in Moscow. We have large fleet of modern car and commercial passenger bus, van and minibus of world famous brands. Our managers will contact you ASAP, advise the best option and confirm the servive.